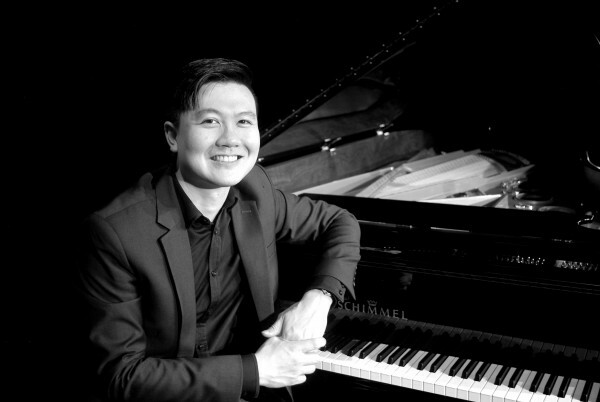 An accomplished pianist and composer, Thaddeus’s work for stage, film, crossover and the concert hall have been performed both locally and internationally to critical acclaim and, on occasion, gleeful singing and dancing. By a happy coincidence, one day he had to fill in and conduct a performance of his own work – the rest, as they say, is history. Since discovering the mystical realm of hand-waving musical magic in 2008, Thaddeus began that lifelong journey to absorb the elusive elixir of truth that is the art of conducting from many a reclusive Jedi master. His expeditions have taken him from a Master of Music under John Hopkins at the University of Melbourne, through to studies in Italy, Czech Republic and the United Kingdom. He is an alumnus of the Symphony Services International Conductor Program, which afforded him the ear-buttering privilege of working and learning with some of Australia’s finest orchestras. He has greatly enjoyed the company of such effervescent ensembles as the Moravian Philharmonic Orchestra, Venice Chamber Orchestra, Tasmanian Symphony Orchestra, Orchestre Nouveau, Melbourne Symphony Orchestra, Melbourne Conservatorium Orchestra, VCA Orchestra, musicians with the Royal Academy of Music and the Australian National Academy of Music, and the Australian New Goldberg Orchestra on various projects.